Homepage » HowTo Guides » How to Recover Deleted Messages on iPhone Using iMobie PhoneRescue? Messages are one of the most important thing today and is the most popular way of communicating with your friends, family members or with your business clients. If you are using messages on your phone for your business dealings then you might be saving them instead of just deleting them because they might be useful to you in the future. So what will you do when these messages are accidentally deleted from your iPhone? You’ll just panic! No you just have to recover deleted messages on iPhone using iMobie PhoneRescue recovery tool. But how exactly can you retrieve the deleted messages on your iPhone? When a message gets deleted, its not removed immediately from your phone’s system but is hidden somewhere so that you can’t see it. 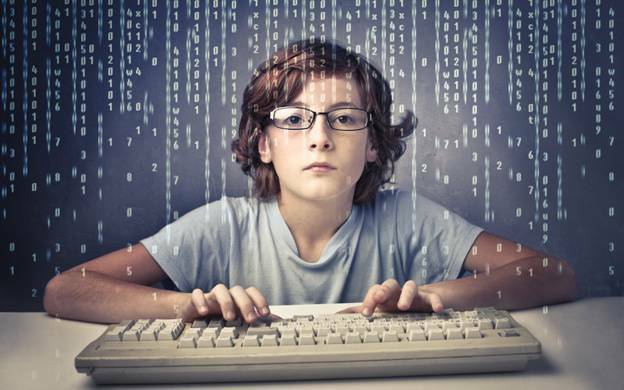 With a proper data recovery tool, you can easily recover these hidden messages. With iMobie PhoneRescue tool, you can recover deleted messages from iMessage and WhatsApp as well as the SMS on your device. Step 2: Now launch the PhoneRescue tool on your computer and you will see a dashboard like the one shown below. Step 3: Now you need to connect your iPhone to your computer and then select the option on the left i.e. “Recover from an iOS Device”. Step 4: Select the Messages option by ticking on it and then click on the Start Scan button to start scanning for deleted messages. Step 5: Once the scan is complete, you will be able to Preview the recovered messages and select the ones that you actually need and discard the rest. Step 6: Now hit the “Recover” button and the tool will now recover deleted messages on iPhone. You can not only recover text messages using PhoneRescue, but you can even recover call history, media files like images and videos, ringtones, reminders, calendars, app data and a lot more. How to Recover WhatsApp Messages on iPhone? 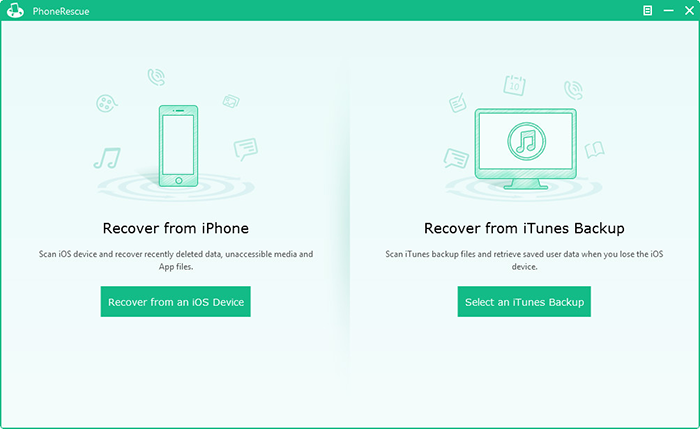 Here are the simple steps to follow if you want to recover WhatsApp messages on your iPhone using iMobie PhoneRescue Data recovery utility. Step 1: Launch iMobie’s PhoneRescue on your computer. Step 2: Connect your iPhone and select “Recover from iOS device”. 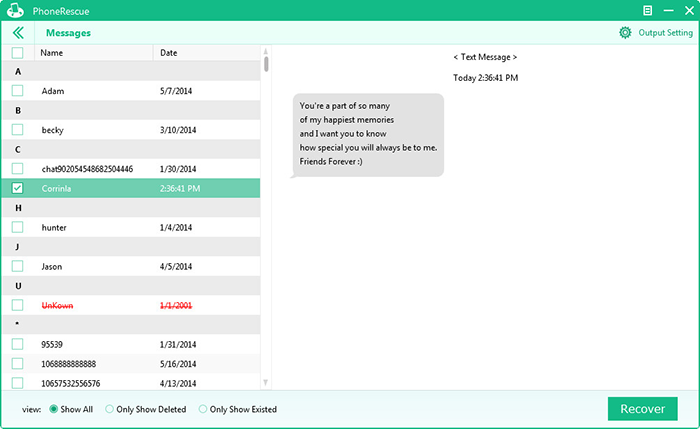 Step 3: Now select Messages and click the Start Scan button. Step 4: Select the WhatsApp messages that you want to recover and then hit the “Recover” button. 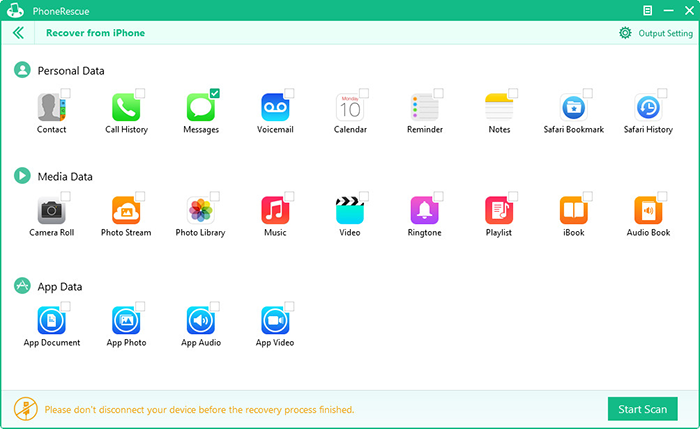 PhoneRescue is not only capable of retrieving text messages but is capable to recover of 22 types of files including images, music, videos, app data and lots more so if you have an iPhone then it will be a wise decision to download and install the tool on your computer. Here’s the complete detailed guide to Recover Messages using iMobie. The tool is available for both Windows and Mac so no matter what operating system you use, you can use the data iMobie PhoneRescue data recovery tool. Hit the above button, download the tool and come back here to tell us how you like this awesome tool for your iPhone!